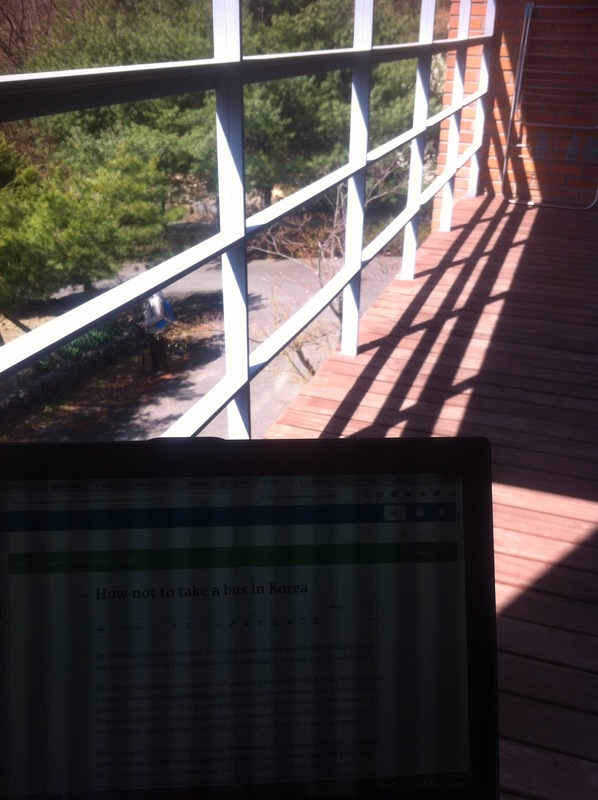 I have started writing in the mornings after breakfast, on my balcony. It faces the mountains, and there is a small pond right outside, where small long-tailed birds flit, making a noise like geese quacking. The plan is to write with my back against the wall, until the sun touches my toes, leaving me no choice but to retreat indoors for lunch.